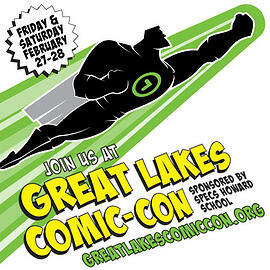 Join Specs Howard School of Media Arts at the Great Lakes Comic-Con February 27th-28th in Warren, MI. We will be there taking lots of photos and filming all of the excitement! Come and meet with us to learn all about Specs Howard School and our Graphic Design, Digital Media Arts and Broadcast Media Arts programs.